Hi, just wanted to thank you for sending us the Kymco gas strut so quickly, very much appreciated. And finally to the young lady in the Cressing shop who realised my predicament when I phoned, and pressed all the right buttons. Thanks again – there are now two happy bunnies in Ash Grove. The chair work on Friday went well & all seems to be fine now. Many thanks for sorting things out. Following several failed attempts to engage a wheelchair showroom in my local area, I decided to contact Easy Mobility Services after an internet trawl of wheelchair dealers. Initially, a first visit was arranged over the telephone to begin a discussion about buying an active wheelchair. Ben Upson had no hesitation about driving from his Colchester base to visit me at my home address (a considerable distance of approximately 70 miles). He brought three makes of wheelchairs with him so that a visual comparison could be made between folding and rigid-framed wheelchairs. 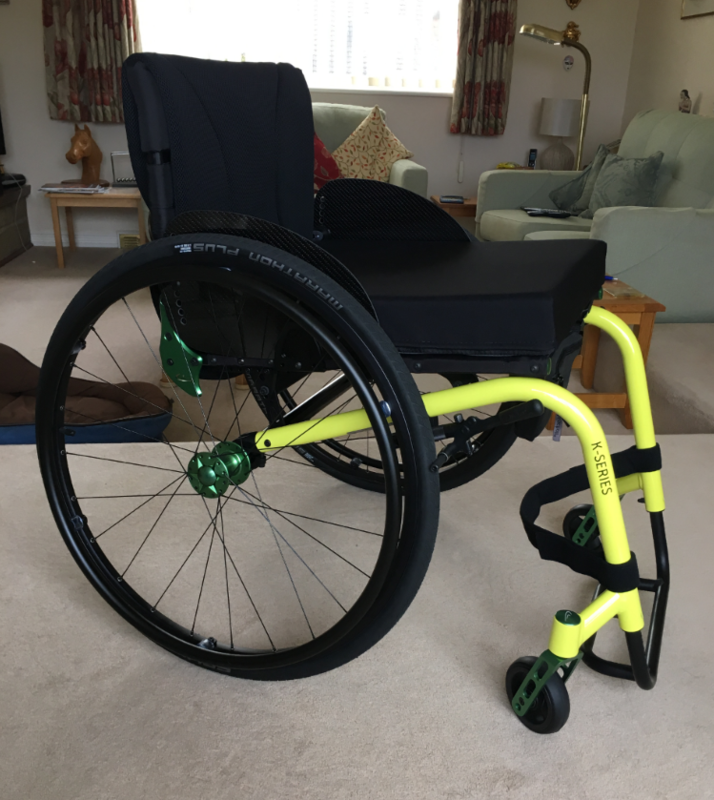 After Ben had given me a detailed breakdown of each type, I decided to opt for the Kuschall K-Series wheelchair. He then very carefully measured me for the right frame prescription and took me through the various ‘add-ons’ that could potentially be beneficial (quite a lengthy process, but obviously necessary). Some four weeks later, as promised, the new wheelchair that I had chosen was punctually delivered by Ben himself. Throughout the whole process, I found Ben to be very honest and highly professional. It quickly became apparent that he is way ahead of our more local sales advisers, both in terms of product awareness and wider industry knowledge. He showed genuine excitement about the latest advances in wheelchair design. It is a tribute to this professional approach that he did not, at any point, oversell any particular wheelchair model or ‘add-on’ items and always gave me undisputable and honest advice. 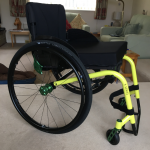 Indeed, whilst I was considering choosing a higher priced Kuschall wheelchair, Ben carefully pointed me to a more fit-for-purpose, entry-level specification better suited to my particular situation and requirements. This was proposed on the basis that I could possibly upgrade in years to come, as I become more accustomed to active wheelchairs. In hindsight, the eventual model he recommended (and that I chose) is perfectly adequate for my needs. Ben is a relaxed, amiable man but always maintained a professional ‘edge’ throughout our two meetings. Without hesitation, I can say that the quality of the service I recently received from Ben Upson was nothing short of outstanding. Furthermore, I will definitely recommend him and Easy Mobility Services to others seeking to buy a wheelchair or other mobility aid.